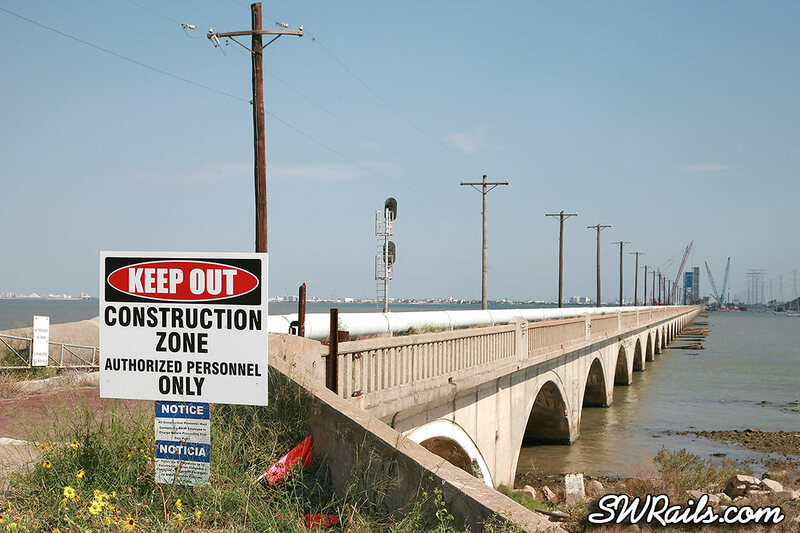 I’ve had a series of posts covering some of the history of the Galveston Causeway of 1912. 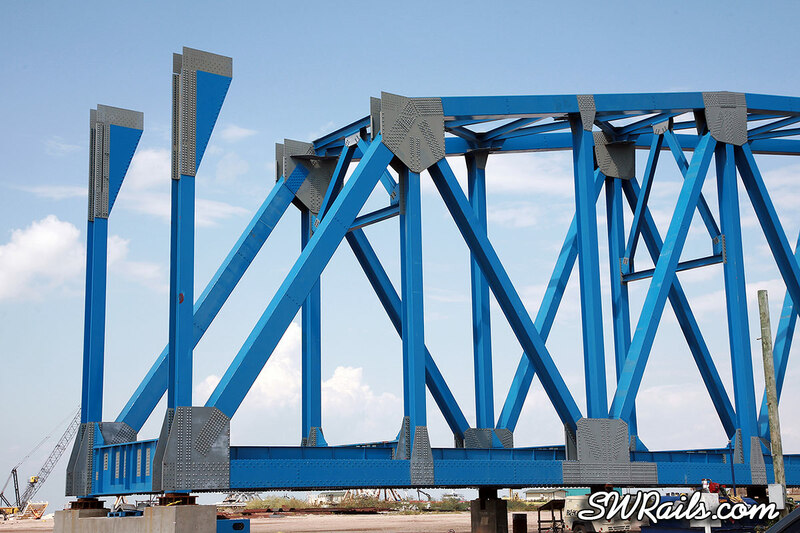 This post will cover the causeway as of 2012, and the upcoming replacement of the lift bridge. 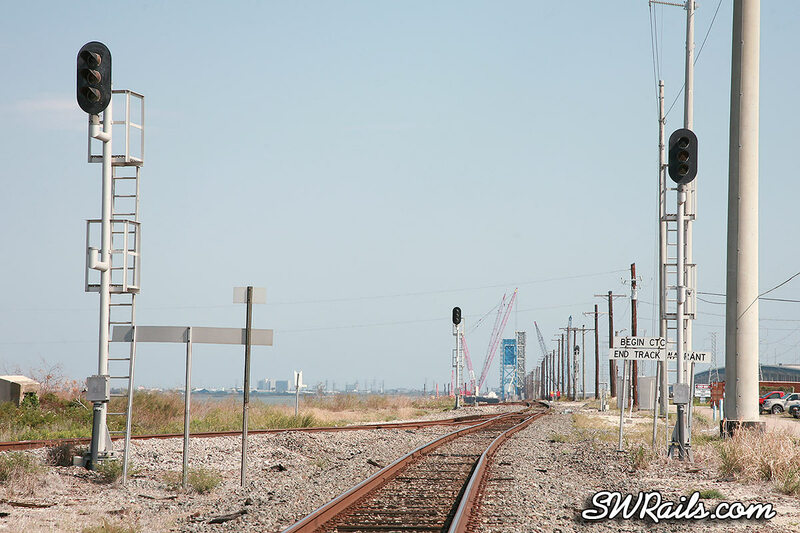 The first view is from Virginia Point, looking toward the lift bridge and Galveston Island. 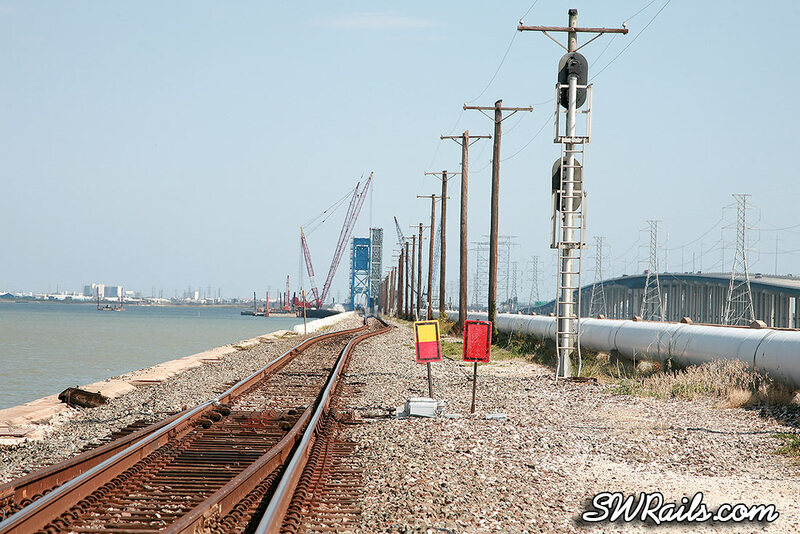 UP’s Galveston sub main line comes in from the left to converge with the BNSF’s Galveston sub mainline. I’ve moved up several hundred yards to the beginning of the causeway. Looking down old Highway 75. This roadway was state-of-the-art for auto traffic in 1912, the early stage of the automobile era. As cars became more numerous, this roadway became inadequate. Car and truck traffic was transferred to dual 2-lane highway causeways in 1939. 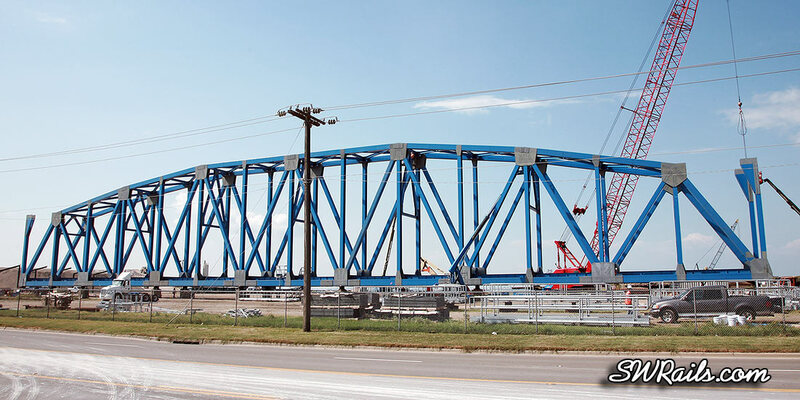 Note how the track structure has already been moved to line up with the new lift bridge. The bend to the right will be straightened when the new lift bridge is operational. The turnout in the foreground is not the UP main. 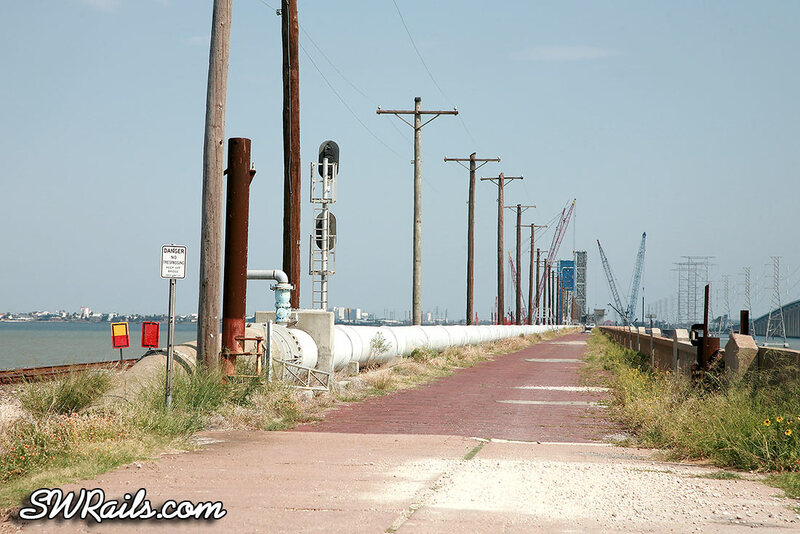 It leads to the Texas City Industrial Lead, a 12.5 mile long spur that extends all the way to industries on the north end of Texas City. 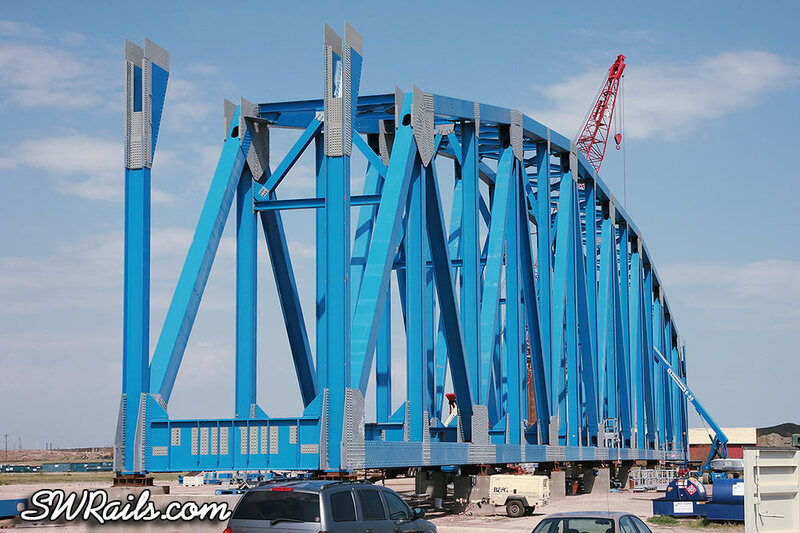 Let’s cross over to Galveston Island to visit the job site where the new lift bridge is being constructed at 5828 Harborside Drive. All of these images are from Sept. 21, 2011. 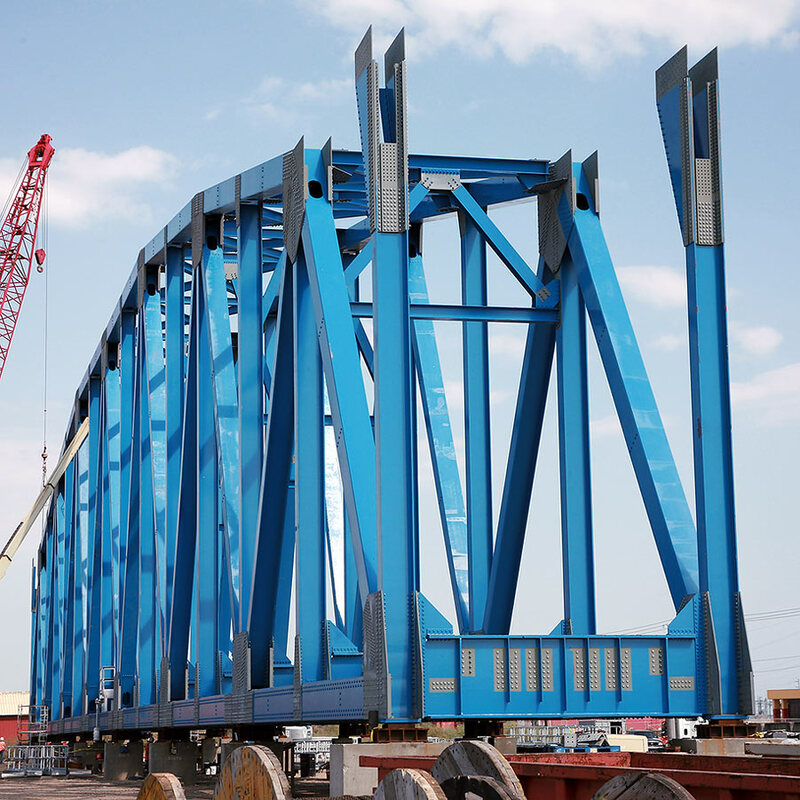 When completed, the 1,580 ton bridge structure will be moved (veeeerrrrry carefully) with trailers about 250 yards where it will be loaded on to a 300-foot-long, 100-foot-wide barge. Once loaded and secured, tug boats will move the barge adjacent to where the bridge will be installed. 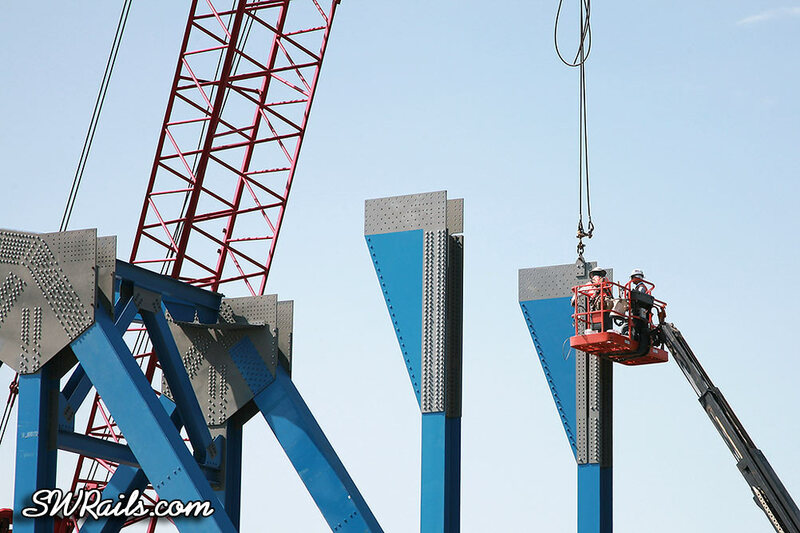 The contractors will have two windows in which to complete the installation. Marine traffic on the Gulf Intracoastal Waterway, one of the busiest in the country, will be stopped for 72 hours. Rail traffic will be stopped for 12 hours. 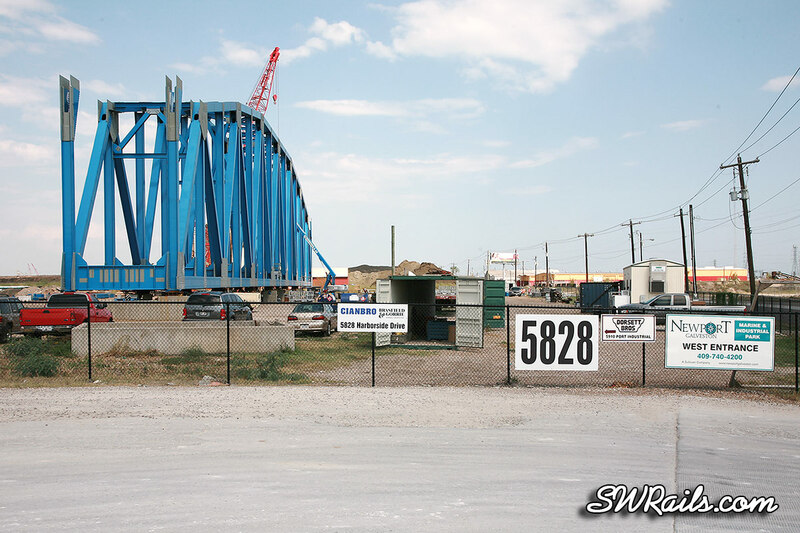 As it stands now, the new bridge is scheduled to be in operation on Feb. 14, 2012. With possibility of rain and winter weather advisories issued over much of Texas, Feb. 14th. sounds like a pretty tight schedule..
I’m thinking of driving down to Galveston tomorrow, just to see what stage the project is in.